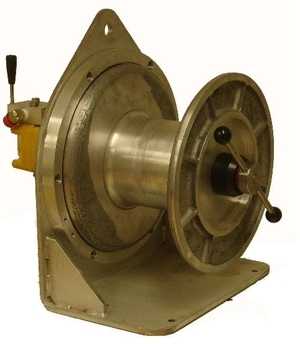 This winch is extremely compact and is aimed for small trawlers or as a minilongline reel depending on the longline fishing technique used. Equipped with a brake, the pull speed can easily be regulated. It is made in cast marine grade aluminium, stainless steel and has a hydraulic distributor and a pressure relief valve.